Australian players can visit a growing number of perfectly secure online casinos and play in the real money mode, but none of these casinos are controlled by Australian operators and none of these casinos are actually licensed in Australia. The government in Australia does, however, issue online gambling licenses to operators who are looking to open an online casino, but these operators are not allowed to accept real cash wagers from Australian based players. This is in accordance with legislation known as the Interactive Gambling Act of 2001 and this is also why Australian players end up playing in online casinos which are based offshore and controlled by foreign operators. You will find that many of today’s best Australian online casinos are licensed either in Alderney (by the Alderney Gambling Control Commission), in Gibraltar (by the Government of Gibraltar), or in Malta (by the Malta Gaming Authority – formerly the Lotteries & Gaming Authority of Malta). Other Australian online casinos are commonly licensed in Curacao (formerly Netherlands Antilles, by the Curacao Internet Gaming Association / CIGA), in Kahnawake, Quebec, Canada (by the Kahnawake Gaming Commission), in the United Kingdom (by the UK Gambling Commission), or in Antigua and Barbuda (by the Directorate of Offshore Gaming). In other words, Australian players can sign up to an online casino and legally play for real prizes, but not in a casino which operates from within Australian boarders. Today’s best Australian online casinos tend to be powered either by Microgaming, Playtech or Net Entertainment (NetEnt), they provider local 24 hour toll-free support and they generally accept Australian dollars and multiple Australian online payment options. Australian players must be at least 18 years of age to play in the real money mode at one of these online casinos and once they have registered a free account they can then take advantage of some great online casino bonuses. Fully licensed Australian online casinos are packed with a variety of different games including Online Pokies (slot machines), table games, card games, live dealer games, progressive games, video pokers and much more, plus most Australian online casinos can either be launched instantly over a flash casino platform or from within a download client. Many are also now available on mobile. A review of the IGA was performed by the government and released in 2013 and it included recommendations for encouraging the gradual legalisation of real cash online casino gambling in Australia. This process can take years to gather momentum, so for the time begin Australian players will just have to stick to playing in the foreign owned online casinos which operate from offshore locations. The best Australian online casinos have been reviewed right here on this site and these recommendations can be found in our online casino review section. Gambling and Racing Commission - The official website for the Australian Gambling and Racing Commission. 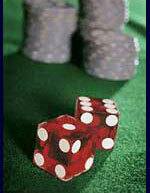 There you'll find information about the purpose of the commission, gambling law, rules and other relevant info. Problem Gambling - Australian problem gambling help and support. This website is an initiative put forth by the Australian government with the purpose of educating and assisting those with gambling problems in Australia.